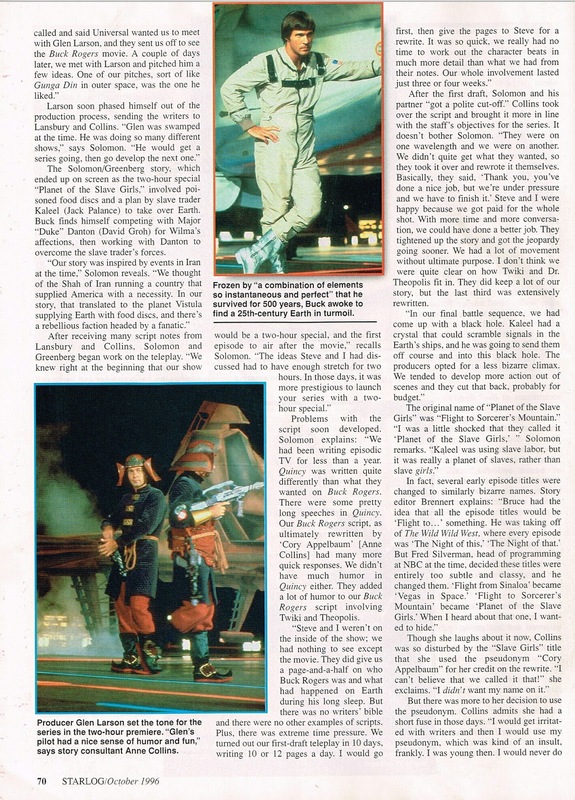 from 1996: The danger with publishing licensed tie-ins is that you have to take a bet on movies and TV shows that - unless they have a good track record (and Starlog even fell out of love with Trek towards the end) - could be a total stinker. 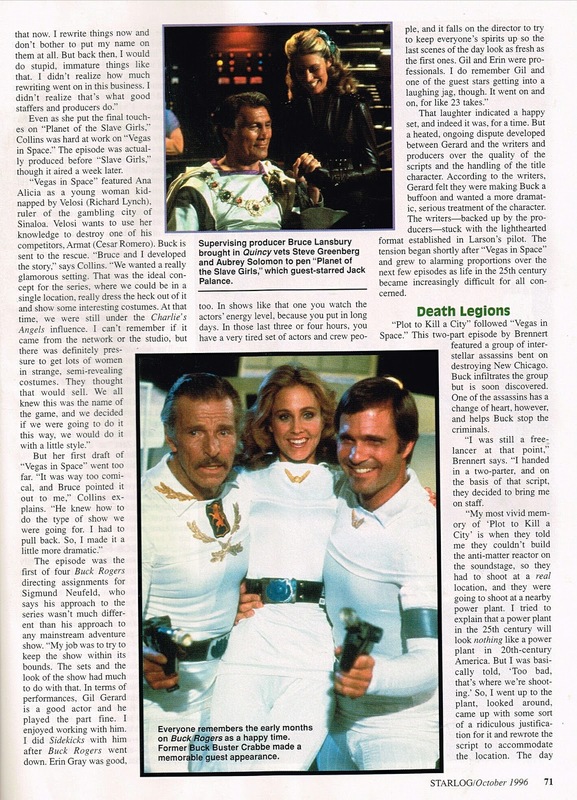 Just like the Hollywood studios, STARLOG GROUP must have had a ratio of sustainable hits-to-failures which allowed the profits from the successful hook-ups to offset the losses from the disasters. 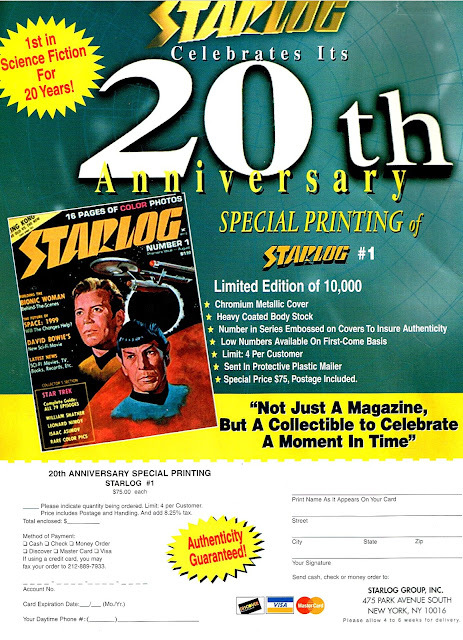 I'm betting none of these mags turned much of a profit for the publisher... Maybe that's why they had to charge 75 dollars (including postage) for a reprint (see previous post). 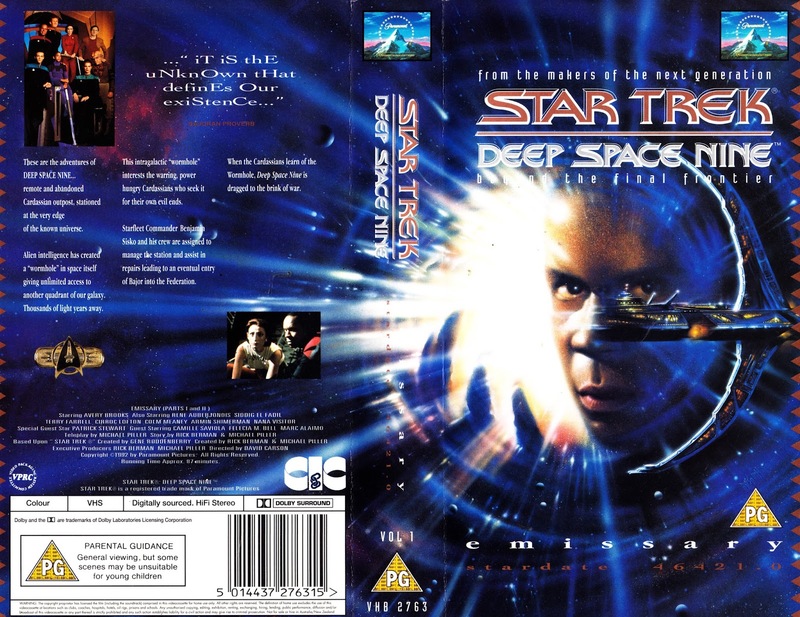 From the VHS years: The first STAR TREK: DEEP SPACE NINE VHS tape, released by CIC Video here in the UK. 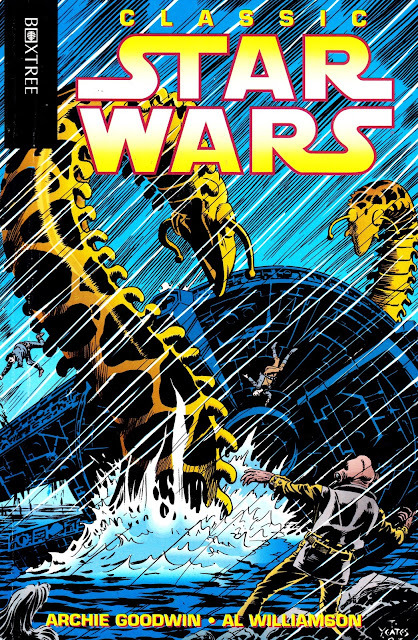 This one, naturally, has the feature-length opening episode. 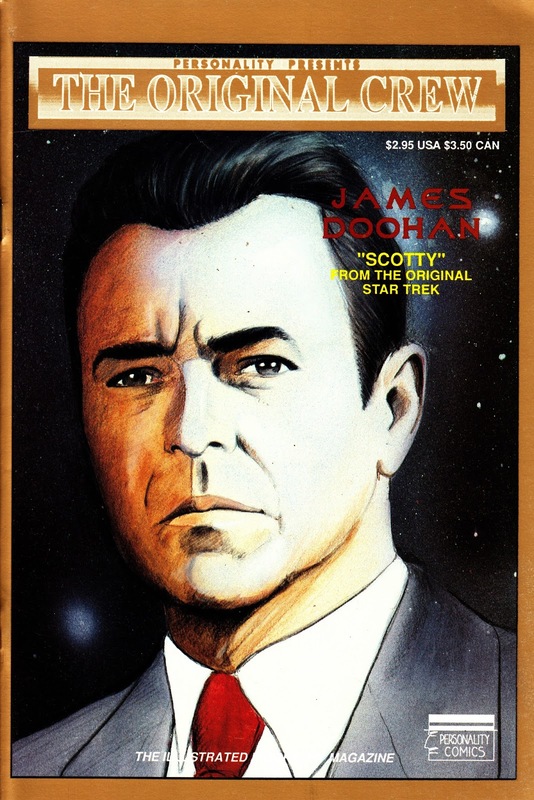 The rest of the run, spanning all seven seasons, settled down to the familiar two-episodes-per-tape formula already nailed by the TOS and TNG ranges. Which was A LOT of tapes. 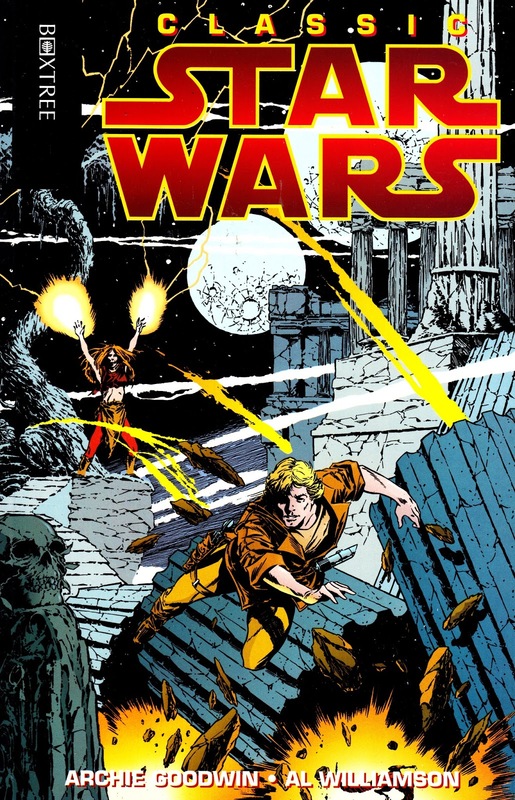 And worth noting that if a two-part story (either within a season or bridging two seasons) just happened to span two tapes then that's exactly how CIC would release them. So you had to buy two tapes to get the conclusion. It would be tempting to think that the producers were told to structure their seasons to increase the chances of this happening... but overseas video releases were probably low on their list of priorities. DS9, like many Treks, suffered from an underwhelming first few seasons before ramping up to be amongst the best the small-screen franchise ever offered thanks to its complicated multi-season storylines. Influenced, whether they like to admit it or not, by a very similar space station also based in the LA area. 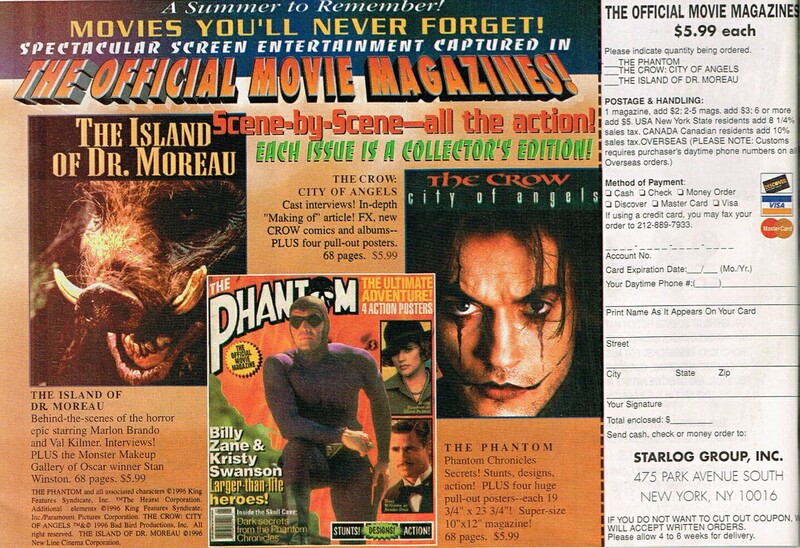 From the dog days of the VHS era: the Carlton (remember those guys?) 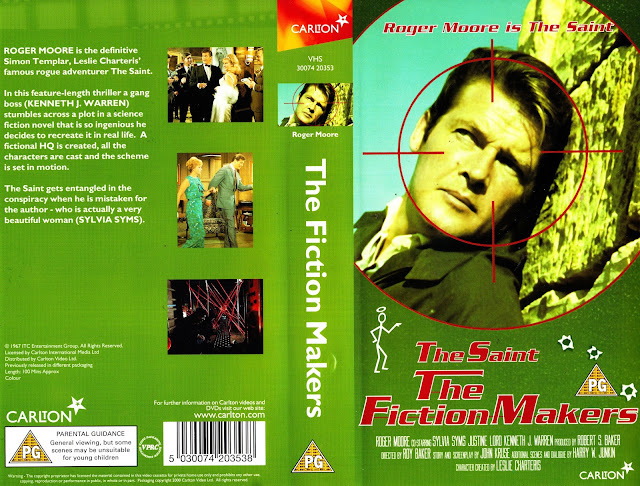 release of the SAINT 'movie' THE FICTION MAKERS, starring - of course - Roger Moore. 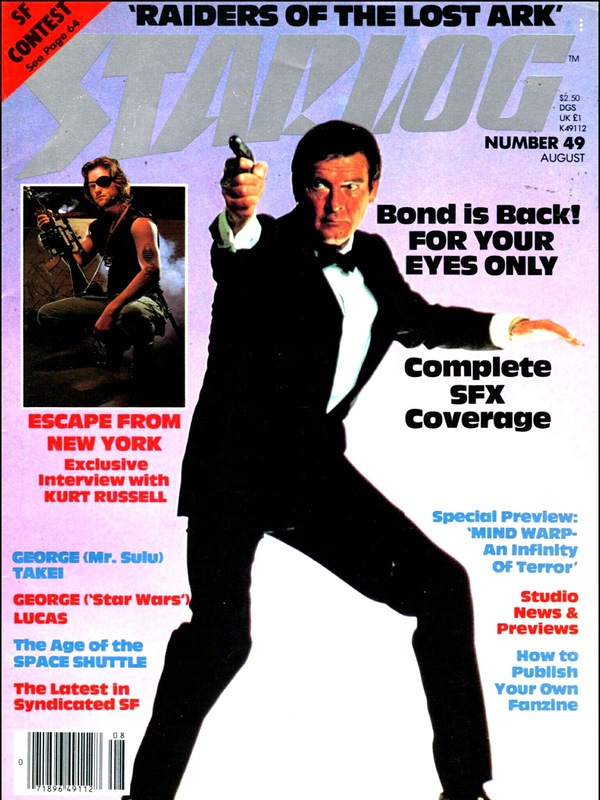 It's a long time since I've seen this faux feature film (shot with an inflated budget and designed to air as two episodes of the TV show OR as a theatrical presentation in some overseas markets) but - from memory - it contains a fair few nods to the BOND franchise. But, of course, pretty much everything featured a Bond or spy riff in the sixties. But it still makes for fun viewing. I was lucky enough to see Moore in person a couple of times... once at the Barbican for a special screening of his film THE MAN WHO HAUNTED HIMSELF (a fun thriller which I think he was the film he was proudest of) and again on the South Bank for a talk to launch one of his books. Both times - years apart - I found him to be an absolute gentleman with an amazing humour and an amazing ability to spin a good yarn without really being mean to anyone. If you were casting the ultimate dinner party, you would want Roger at that table. And probably Joan Collins as well. 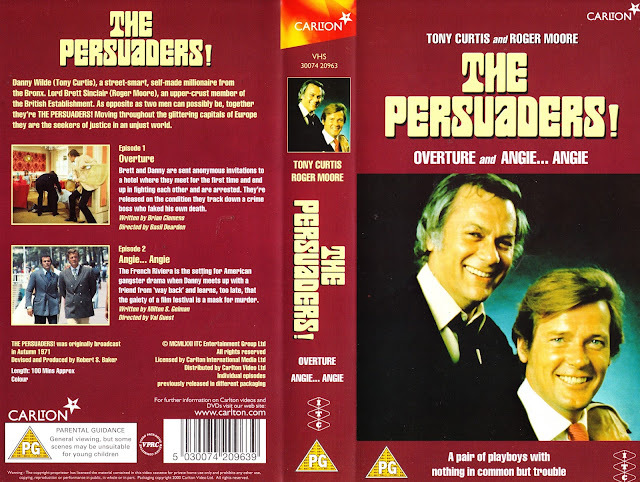 Last night I took the time to watch THE PERSUADERS! episode 'A Death in the Family' by way of a farewell... a good choice because it was the last episode of the glossy early 1970s ITC series to go before the camera... and because Moore has some fun playing other members of the Sinclair family. 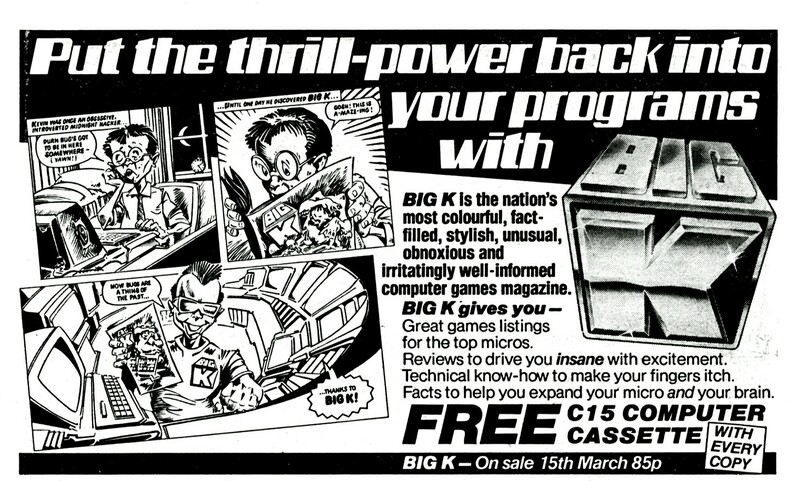 CARLTON, who joined the ITV system in the 1990s when they replaced Thames Television, were quick to realise that programme rights, format rights and intellectual property was a vital way of supplementing the more flakey income from selling airtime on commercial TV. So they went around buying up various old film and programme libraries including Rank and ITC. The material proved useful slot fillers for their digital spin-off channels as well as their VHS and DVD operations. Carlton eventually merged with hitherto arch-rival Granada (the two had, between them, carved up the regional ITV network but - despite the battle to become the main player - still had to pull together to keep the network, and hair-brained spin-offs like On Digital/ ITV Digital, ticking over) to form ITV PLC. The Granada name hung on for a while whilst Carlton's non-core assets (book publishing, cinema advertising, broadcast technology) were sold off and the name seems to have all but retired today. 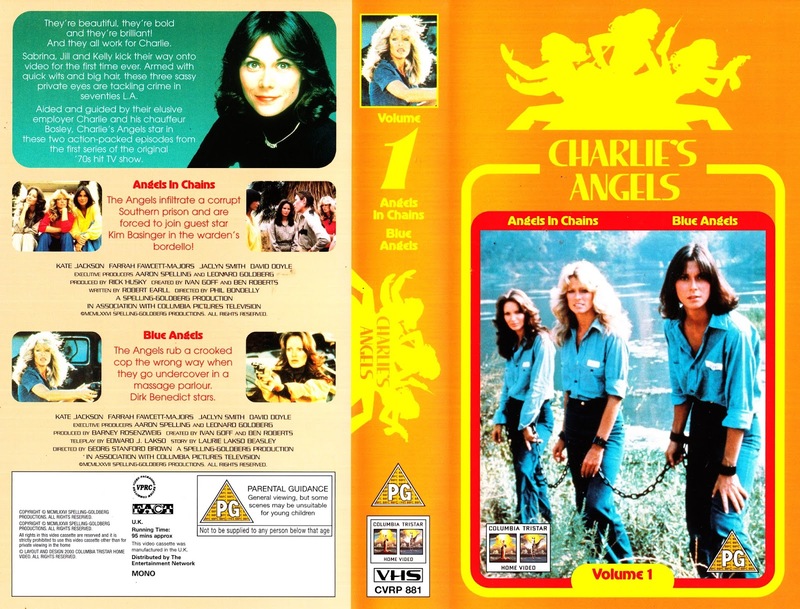 From VHSville: CHARLIE'S ANGELS VOLUME 1. Whoever was picking the episodes certainly knew what they were doing. Two Season One (Farrah!) 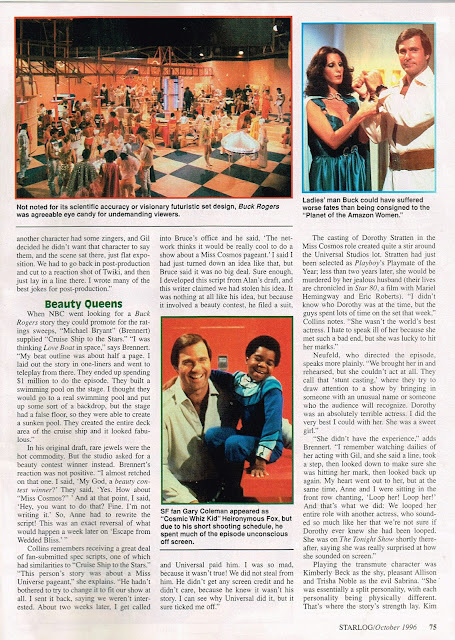 crackers with log lines tailormade for the back cover of a tape (or TV GUIDE magazine). Of course it helps that one of them is the legendary ANGELS IN CHAINS, the episode that catapulted the show into a surefire hit with their toned-down-for-TV take on a Seventies 'women in prison' exploitation flick. Of course it helps that Mary Woronov and a young Kim Basinger are serving time on this episode as well. 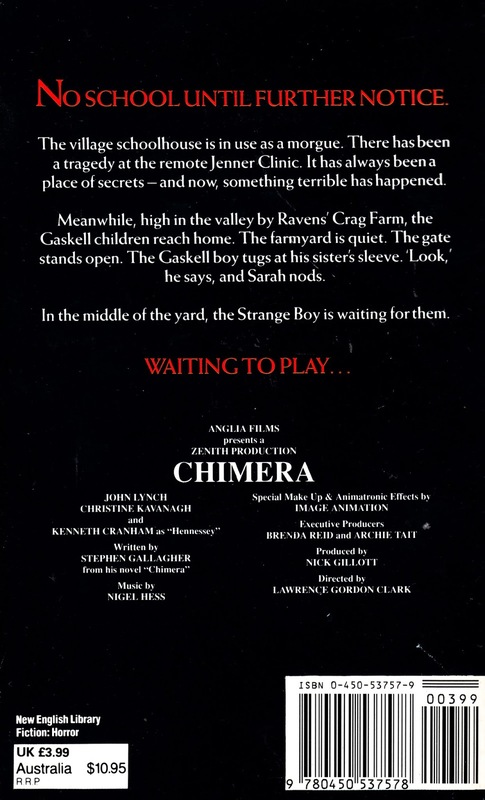 Interestingly, the Spelling Telly Machine recycled the plot (but not the entire script) for the third season MATT HOUSTON outing 'Caged', a great showcase show for Pamala Hensley who - sure enough - finds herself banged up in a dodgy women's prison after suffering amnesia in a car crash. 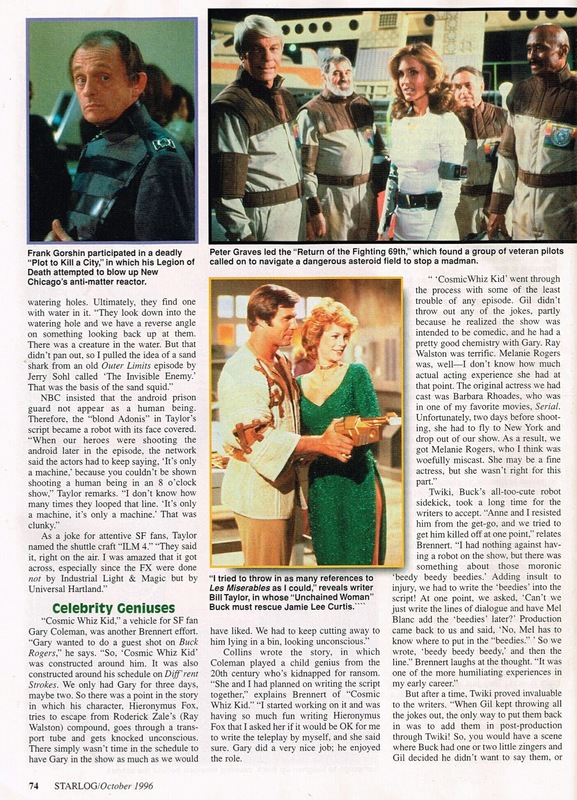 BLUE ANGELS, the last episode of the first year to air (and, therefore, Farrah's last regular booking on the show that made her a global star), boasts a pre-BATTLESTAR guest turn from Dirk Benedict. TV heaven x 2. From memory, I think this came from a three-tape boxset (part of the boom in old non-SF shows that came at the end of the VHS era) which was released to cash-in on the first feature film. Now I have all five seasons sitting on my shelf but - at the time - the chance to own any episodes was a treat. 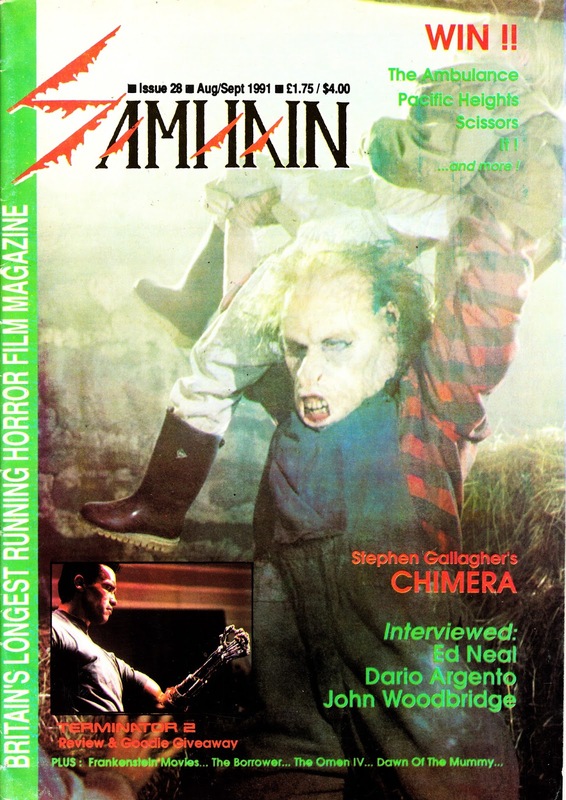 From 1991: More CHIMERA coverage courtesy of British horror fanzine/ magazine SAMHAIN. The publicity still used on the cover rather gives the game away that the 'monkey boy' wasn't the most horrific of scary creatures. But it passed muster back in the day. 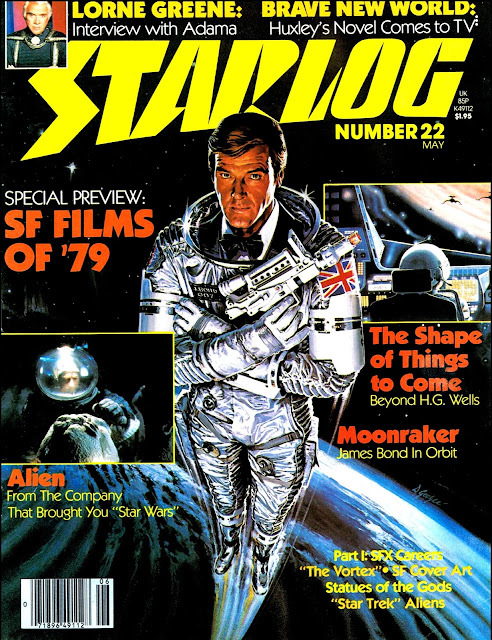 Despite the cover feature, coverage inside the magazine was limited to a fairly brief review of the first episode... which wasn't atypical of the following three outing anyway. Buyer beware. 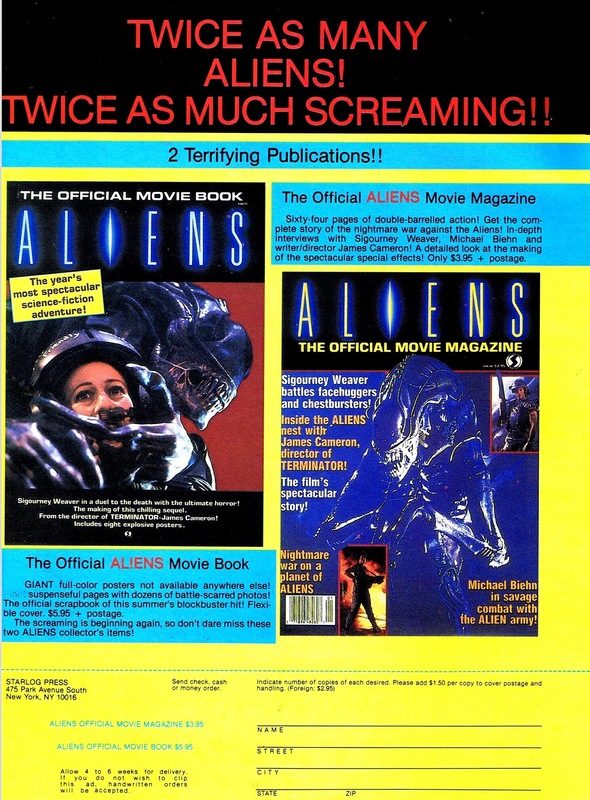 The magazine itself, part of a flock of horror floppies that appeared that decade (including SHIVERS, THE DARKSIDE, FEAR and the FANGORIA spin-offs and wannabes), started out as a fanzine and then shifted over to a more professional (although one suspects still a 'labour of love') footing before eventually fading. 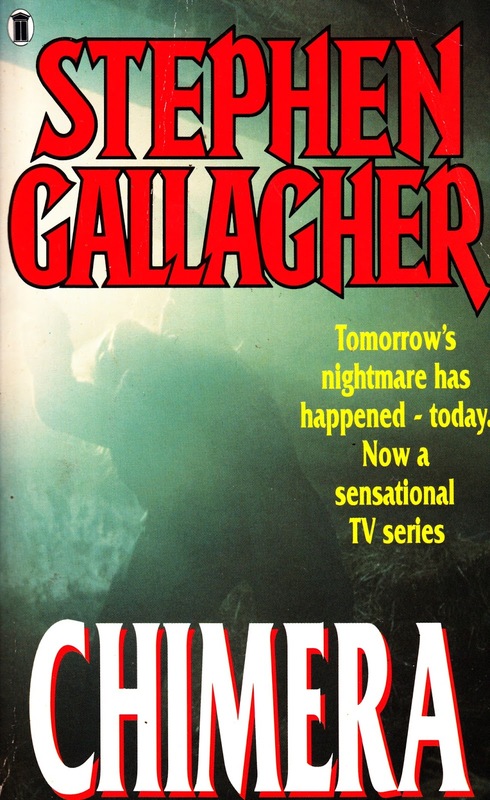 From 1991: Anyone remember CHIMERA, the Anglia TV drama/ horror based on the Stephen Gallagher novel? The TV tie-in edition of the original 1981 novel is pictured here. 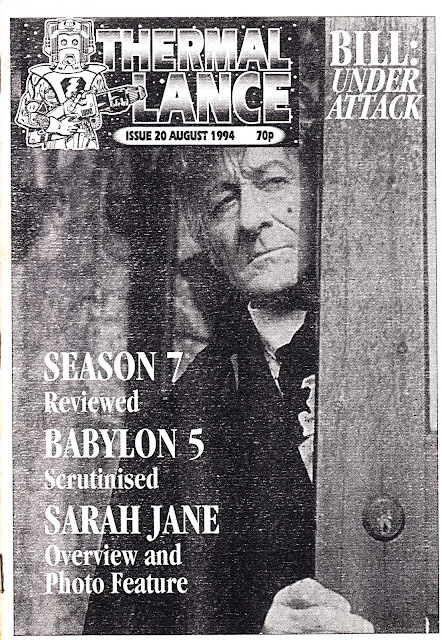 The four-parter was - apparently - a last-minute commission when a drama gap suddenly opened up in ITV's summer schedules... and Anglia (one of the mid-level companies in the system) were able to step in at short notice. 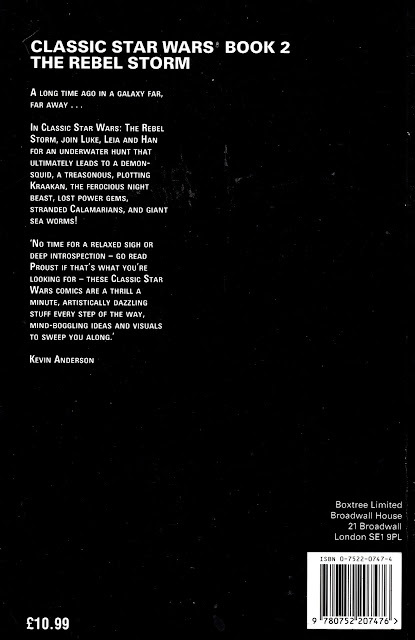 The first episode is a Hitchcock style bluff that sets things up for the meat of the three parts that follow. 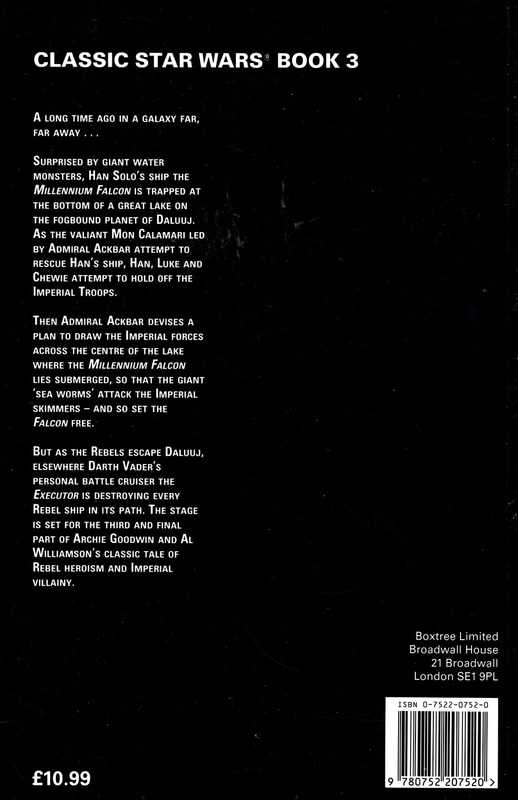 Anglia also produced a shorter done-in-one TV Movie version (which gives you a hint at the amount of padding in the full-length version) which was subsequently 'repeated' on ITV and released on VHS. 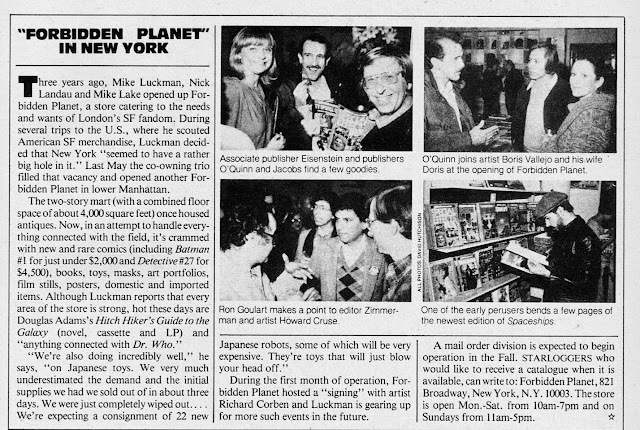 It was probably also offered to overseas buyers as an alternative to the full multi-parter. The edited version sometmes goes under the how-many-meetings-did-it-take title MONKEY BOY. The original version has been released on DVD and is worth picking up for some undemanding chills... albeit with some dodgy performances and bad dubbing. 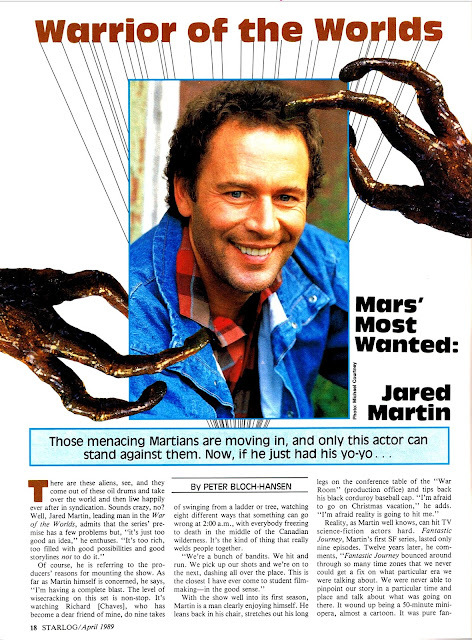 From the VHS era: The feature-length pilot episode of MOONLIGHTING, as released by The Video Collection. This was one of the first sell-through TV tapes that I was aware of back in the 1980s and it may have been something of a trendsetter in the market, cashing in on the appeal of the show (airing, from memory, at 9pm on Tuesdays on BBC TWO). 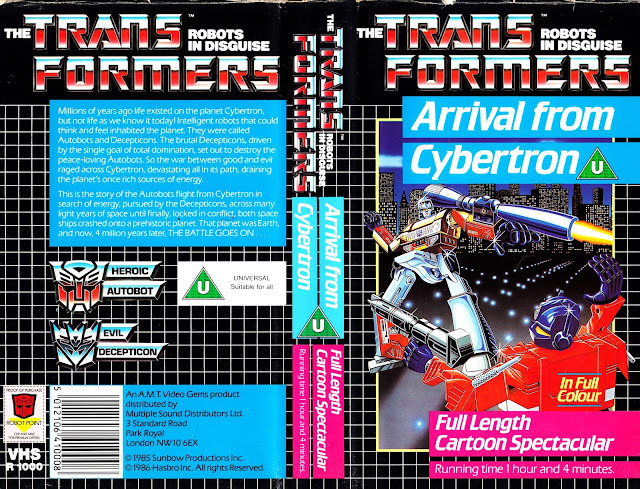 The market obviously wasn't ready for episodic releases as we had to wait until the 1990s for what had become the industry standard release pattern: two episodes on a single tape, priced-to-go somewhere north of the £10.99 price point. From the VHS era: the first of what turned out to be a long run (including a few rather stylish boxsets and store exclusives) of THE AVENGERS tapes. 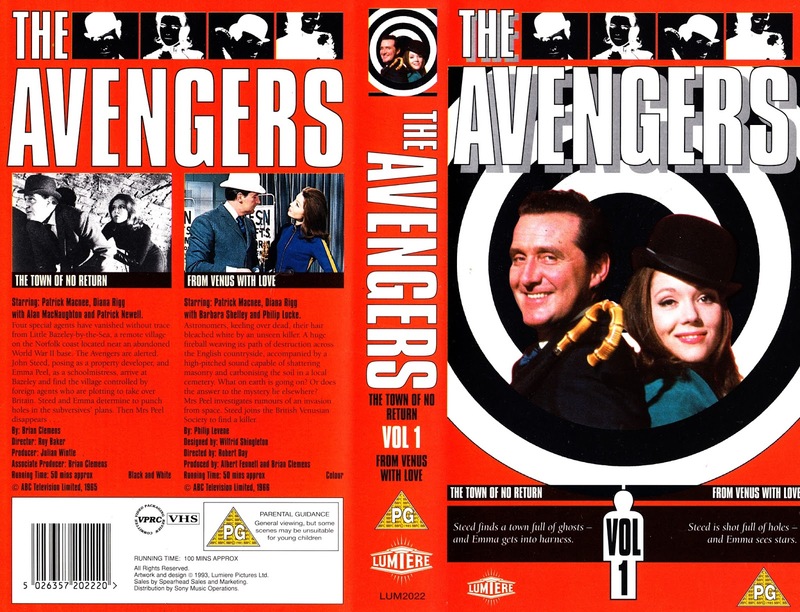 Lumiere went the extra mile with these releases by pairing strong episodes (initially from the Rigg era... one b&w and one colour), adding sleave notes and making the prints look as good as possible. 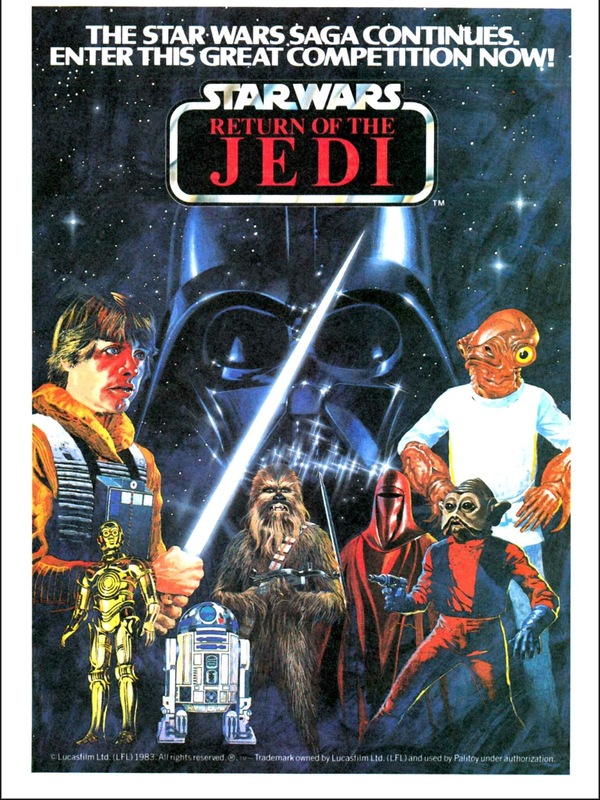 I'd seen - and enjoyed - the show back in the 1980s when CHANNEL FOUR had rerun it on a Sunday night but these tapes were the first chance I'd have to see it as an 'adult'. And I really enjoyed it. It soon became part of my (super expensive) tape-buying routine along with the other current or 'classic' releases of the era. The economics of it all seem madness now... I wish i had found a cheaper hobby. 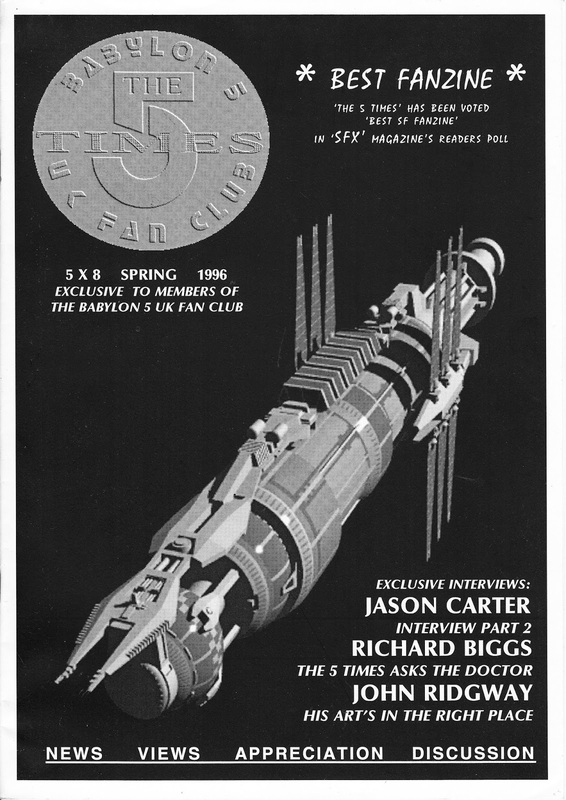 From the spring of 1996: the 8th issue of the UK BABYLON FIVE FAN CLUB magazine THE FIVE TIMES, with a really nice CGI render of the station as the cover. I think that shows the level of co-operation (albeing falling short of an official endorsement) the club enjoyed with the production. Partly because the cast and crew always seemed to be here in the UK for conventions and signings. From August 1994: the 20th issue of British DOCTOR WHO & TELEFANTASY fanzine THERMAL LANCE. From VHSville: CBS released the first trailer for the new STAR TREK DISCOVERY TV show yesterday... and fandom of course went into meltdown. 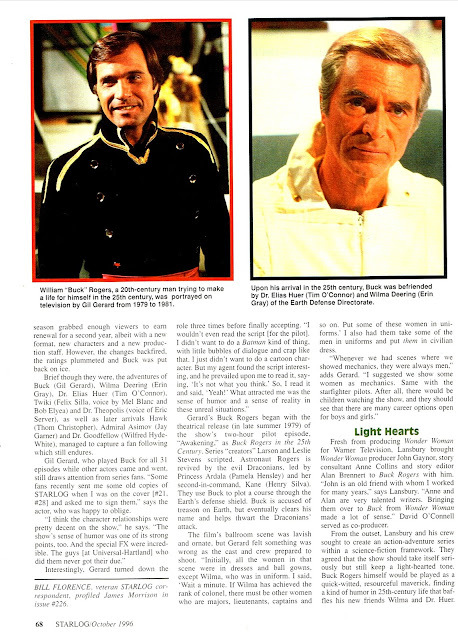 Rather than just be chuffed that what was essentially a dead TV franchise (and not doing that well at the movies either) is being revived with what looks like a whopping budget, they decided to fixate on having to pay a few dollars-per-month to watch the show on the CBS streaming video platform in the States (it will be on Netflix in other markets) and debating why the show - set before the Kirk/ Spock era doesn't look more like 'The Cage'. The first gripe seems to be that they have never had to pay for Trek before (except for the tapes, discs, books, comics, action figures, magazines, movie tickets and a million other bits of merchandise) so why should they start paying now? They don't seem to understand that the TV marketplace has changed and that Trek, frankly, exhausted, the old routes to air by being squeezed out of first-run syndication (partly because previously independent stations were turning over their airtime to new webs like UPN and CW and partly because Paramount had flooded the market with reruns of the other series in the franchise) and then network TV (UPN, despite all the problems at the ownership level and the frequently changing programming priorities, did stand behind Trek for over a decade) when UPN and WB finally merged after a decade of slugging it out in an ever-shrinking fish pond. CBS is using Trek to drive recognition and uptake to their new subscription service. Broadcasters know that linear broadcasting is going to be a game of diminishing returns from now on and they need to stake a claim in the new world order or risk a few big players controling the content and the business deals. Filling 24-hours of broadcast content is looking increasingly like hard work when you can concentrate cash and resources into fewer titles, that punch harder, which viewers can dip into whenever they want. Fans should be celebrating that Trek is coming back to TV... and that CBS is willing to bet the farm by using it as a cornerstone for their new venture. 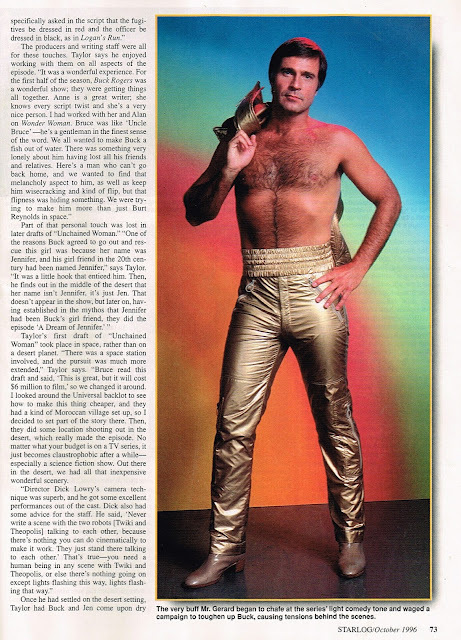 Trek has a bold tradition in leading broadcasting innovation. 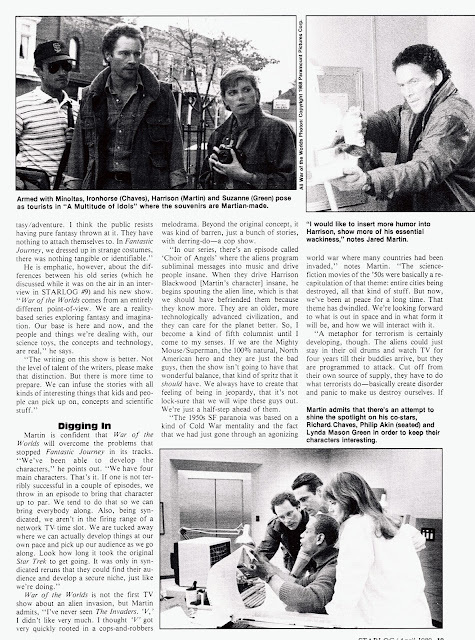 Paramount pondered launching their own TV network in the late Seventies (that ultimately went nowhere when the advertising sums didn't add up) prior to STAR TREK: THE MOTION PICTURE; again when they used TNG to open up the syndication market to first-run quality drama and yet again when Trek anchored their UPN venture with Chris-Craft in an attempt to get into the network business to avoiud being squeezed out by legislation that allowed - for the first time in decades - the network's to own the shows they aired. 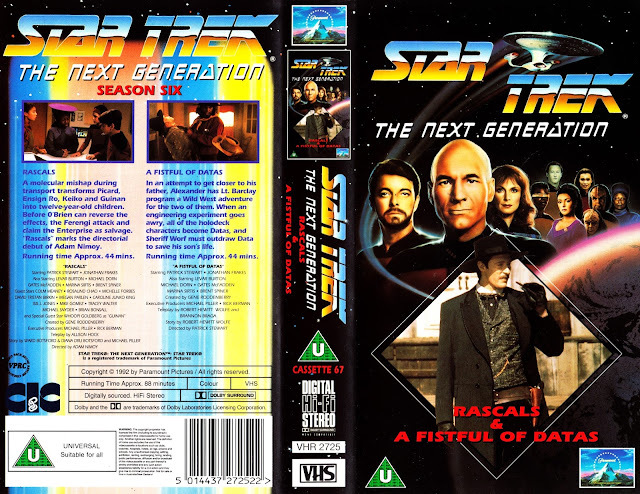 So... here is a fairly random STAR TREK: THE NEXT GENERATION VHS cover from back in the day when British fans had to pay over a fiver per episode to get the latest episodes or wait months (or years) for them to appear on Sky One (subscription alert!) or BBC TWO. 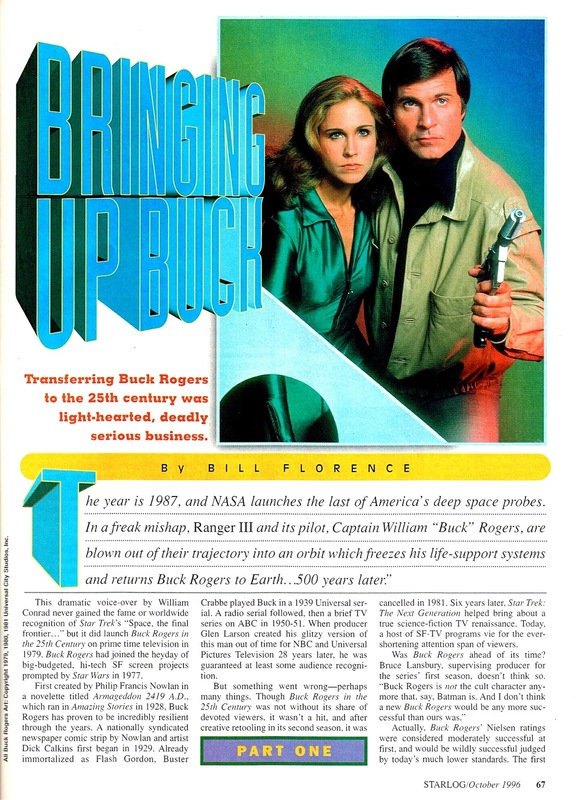 As for the second... Yup, it would make perfect sense to make the cutting edge remake look like a 50+ year old show. 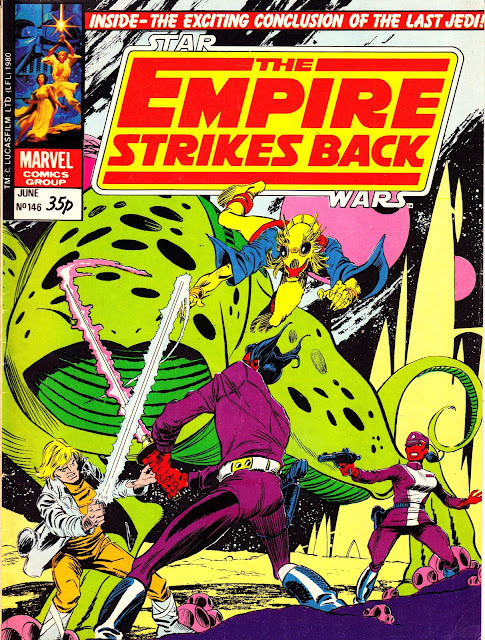 The story may have been split over two issues as a buffer because the the British Bullpen were diverting the extended length 'The Crimson Forever' into the second ESB annual, leaving them short of material for the monthly. 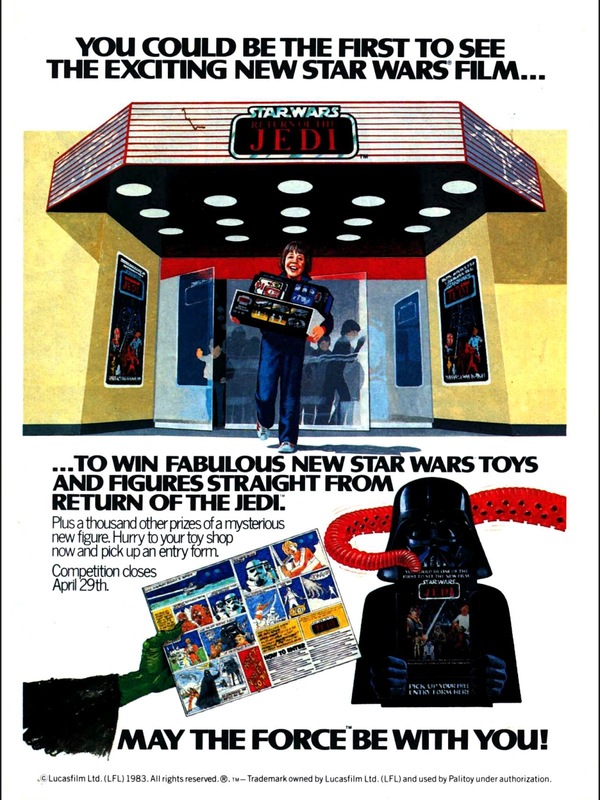 They didn't get around to running that strip, from US issue 50, in a regular comic until the ROTJ era. From ATVland: the second, and - I think - final, VHS release of TISWAS material left in the ITC vaults circa the mid 1990s. Someone obviously pointed out to the designer that yellow was the colour palette most associated with the show... honestly you'd think they'd have used it for the first volume. 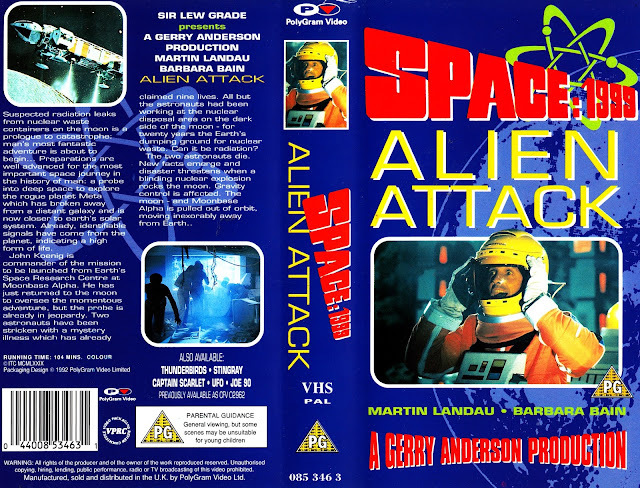 From the VHS era: More cult tv... this time an all-too-brief (under an hour!) compilation of TISWAS highlights (aka the best of whatever material was left in the ATV archives when it was all transfered to ITC in the early Eighties) released on the briefly highly productive ITC label. 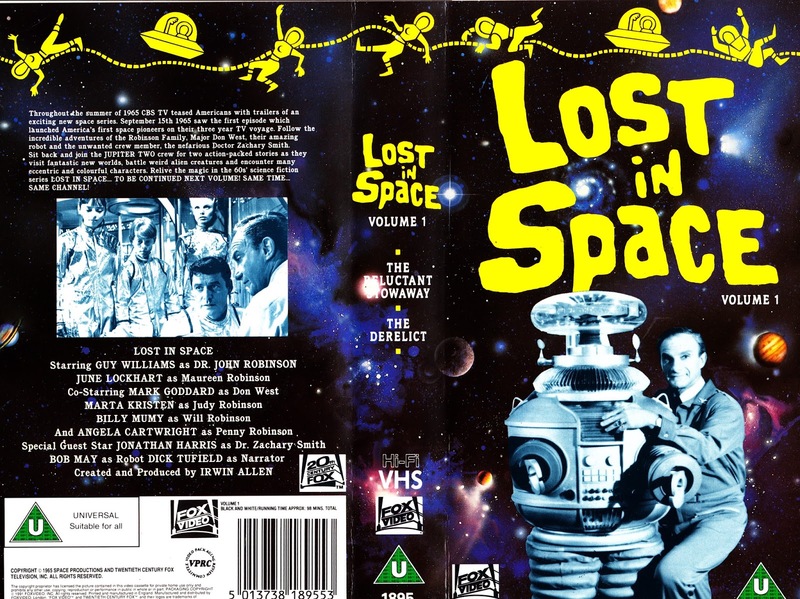 From the VHS era: LOST IN SPACE is on its way back to TV... so here is the first UK sell-through VHS cover. 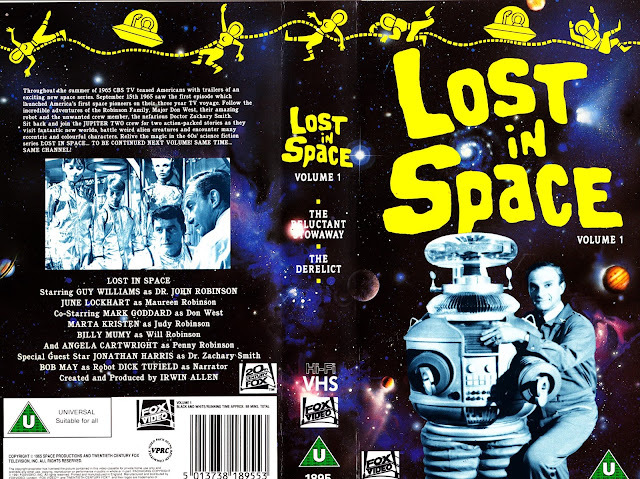 The first (of - I think - only three tapes) included the first two (black & white) episodes from the show's first season. 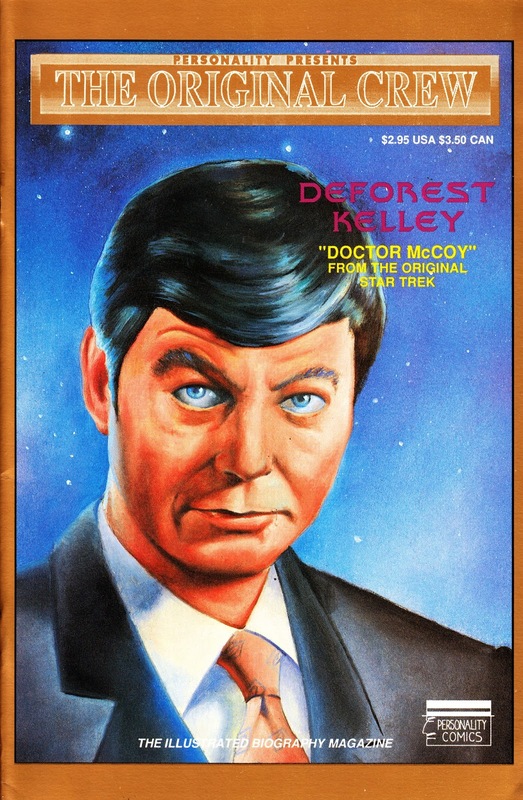 Fox released two more tapes with the following four episodes but - had they planned to continue releases ala STAR TREK - soon abandoned the project. 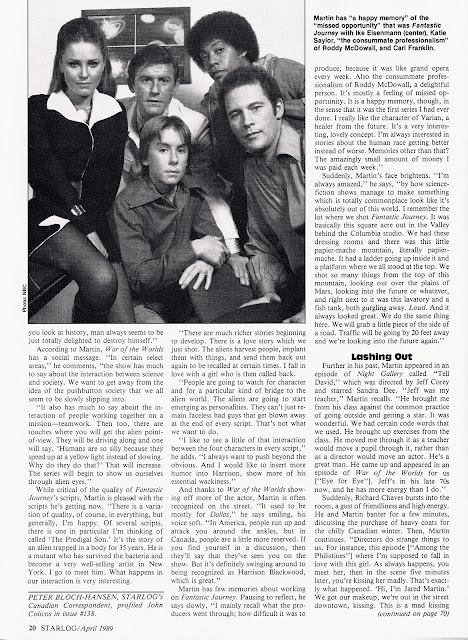 The show was familiar to UK audiences of the era thanks to a regular booking on Channel Four's Sunday morning schedules. From September 1988: Merger alert! 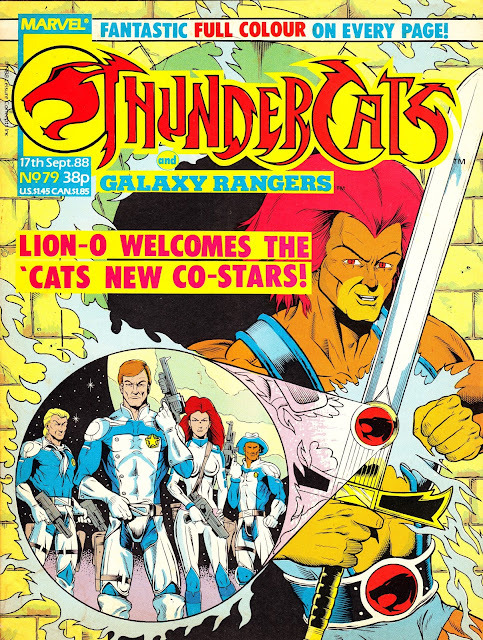 The short-lived THE ADVENTURES OF THE GALAXY RANGERS (nine issues over eighteen weeks) folds into the pages of MARVEL UK's THUNDERCATS. 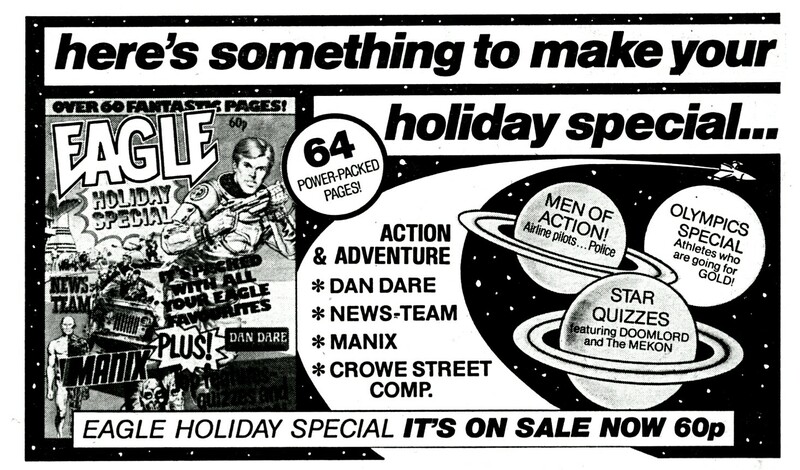 I assume Marvel had already commissioned some more GR strips and didn't want to write-off the investment (especially if there was a chance that the TV show would still be floating around the ITV schedules). 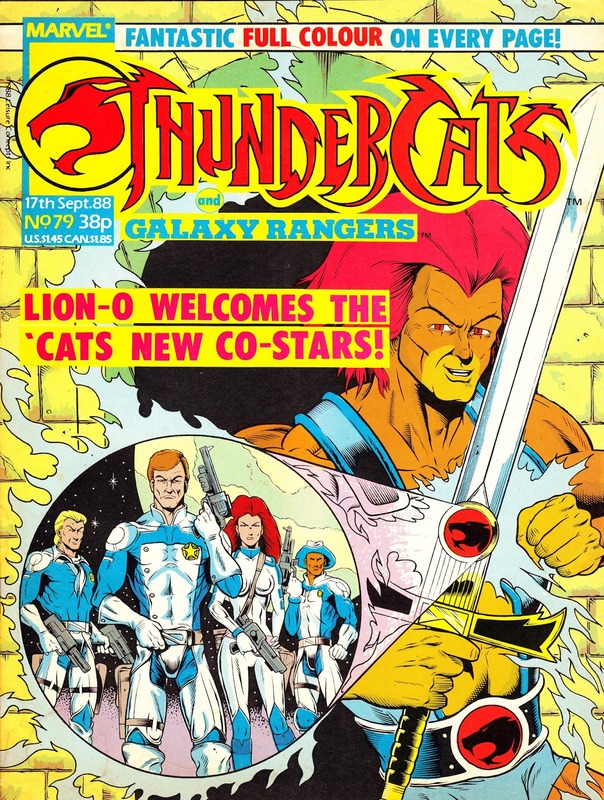 Once the original strips were exhausted, Thundercats went on to reprint the British-created strips originally seen in the one-and-only GALAXY RANGERS ANNUAL. From September 1981: STARLOG MAGAZINE reports on the opening of New York's FORBIDDEN PLANET store, imported from jolly ol' England. From March 1984: Yet another cut-and-keep (buying) booklet promo from IPC. This time it's the parent-baiting 'Naughty Booklet' published in WHOOPEE.